Mt. Moriah Jehovah-Jireh Church of God in Christ is committed to imparting, enlightening and empowering the local community and people by the atoning work of Jesus Christ. We strive to provide hope and encouragement and to assist people in developing their full potential as a person and as a Christian.Further, Mt. Moriah through its ministers and laity shall endeavour to be a Christian witness to the community. Preaching and Healing Ministry pertaining to public worship, personal evangelism and the application of the Gospel in daily life. Embrace of the Truth of the Gospel and Salvation and therefore, lifting up Jesus for the winning of the lost by the work of grace through faith. We see the divine mandate to establish an umbrella of essential services and ministries to build a better community of individuals and families. We see the necessity to train and prepare men and women for the natural and spiritual aspect of life as related to the work of Jesus Christ. Committed to achieving spiritual success and spiritual excellence in ministry, discipleship and to exemplify Christianity as a way of life. Provide the essentials necessary to build character and self-esteem through physical, psychological, educational and social support. Pastor Owens is very passionate about giving the younger generation necessary tools for success. Through the mentoring program, we will provide individual guidance to young adults as they navigate various important life circumstances. We will meet with them on a one-on-one basis to provide a listening ear, a caring shoulder, and heartfelt advice. When an individual or family in the community is in need of a piece of furniture or small appliance, we will assist. Those in need can request the necessary item, and we will grant these requests in the order they are received. Periodically, we will distribute informational tracts and flyers to the community detailing the Way of Salvation and information about our church. We will pass out these flyers in the community, in parks, and throughout places where ever there is a spiritual need in the community. Through this distribution, we hope to touch the lives of individuals in need of the Word of God. Mt. 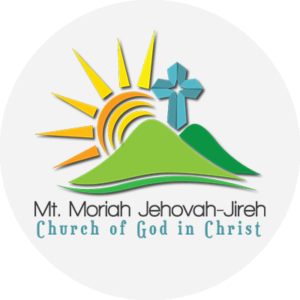 Moriah Jehovah-Jireh Church of God in Christ church is dedicated to the provision of spiritual guidance and enrichment for its congregation.